We now have a Sloth Kong store. Check it out: shop.ticotimes.net . Shipping only available in Costa Rica. 1. According to historians, Costa Ricans played their first modern football match in 1876. On Dec. 8, 1876, young Ticos gathered at what is now La Sabana Park in western San José to play the first ever football match in Costa Rica. Six students, who had learned how to play while studying abroad in England, organized the match. Exactly 138 years later, the football lesson came back to bite the English as Costa Rica eliminated the Three Lions from the 2014 World Cup. 2. Costa Rica played its first ever international football match in 1921. The match took place in Guatemala City as part of the games celebrating 100 years of Central American independence. The Ticos won their opening match against El Salvador, 6-0. Then, they went on to win the whole tournament — defeating Guatemala in the final, 7-0. 3. Juan Cayasso scored Costa Rica’s first-ever World Cup goal, in a match against Scotland. 4. Paulo César Wanchope was the first Costa Rican to score in the English Premier League. The goal was a beauty, and it came against Manchester United. Wanchope, now an assistant coach with the national team, tallied a goal in his Premier League debut with Derby County. His score came against one of England’s most storied clubs: Manchester United. Wanchope’s “jewel” of a goal is considered one the best scores in Derby history — and the Ticos’ success in the Premier League helped encourage other Costa Rican players to go abroad. Since then, two more Ticos have scored against Manchester United. Bryan Oviedo and Joel Campbell both had golazos against Man United in the past year. 5. Óscar Duarte became the first Nicaragua-born player to score at a World Cup with his diving header against Uruguay on June 14, 2014. Some say he brought momentary unity between two frequently bickering neighbors. 6. 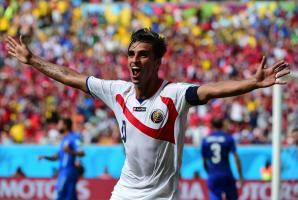 Costa Rica has qualified for the knockout round of the World Cup twice in its history. Both times on the exact same day of the year: June 20. On June 20, 1990, Costa Rica defeated Sweden, 2-1, to advance to the second stage of the World Cup for the first time ever the first time . Exactly 24 years later — on June 20, 2014 — the Ticos reached the knockout round for the second time by shutting down Italy, 1-0. 7. Costa Rica didn’t bring enough uniforms to its first World Cup in 1990. During Costa Rica’s World Cup debut in Italy 1990, Ticos were unable to do the traditional jersey exchange with opposing players at the end of a match because they did not have enough spare uniforms. This occurred mostly as a result of poor negotiations by Costa Rica’s Football Federation and sponsors. 8. Costa Rica is the only country from North or Central America to ever score on Brazil at a World Cup. The Ticos lost the match, 5-2, at the 2002 World Cup. Still, no other CONCACAF team has managed to put one by a Brazilian goalie on the world’s biggest stage. Mexico failed in all four of its chances, including a 0-0 tie in 2014. The U.S. lost 1-0 in 1994 in their only World Cup meeting with Brazil. 9. Before Keylor Navas, there was Luis Gabelo Conejo as Costa Rica’s goalkeeping savior. Conejo, La Sele’s current goalie coach, was in net at Italy 1990. His incredible goalkeeping led the Ticos to two upsets over European squads and a spot in the knockout round of the tournament. Several publications named him the 1990 World Cup’s best goalie. 10. Ronald González was the youngest player to score at the 1990 World Cup. Ronald González, just 19 at the time, played for Costa Rica’s national team at the 1990 World Cup in Italy. He scored against Czechoslovakia — the Ticos’ only goal in the 4-1 loss — and became the youngest player to do so at that World Cup. González’s career did not peak there. He’s still going strong today as a coach. 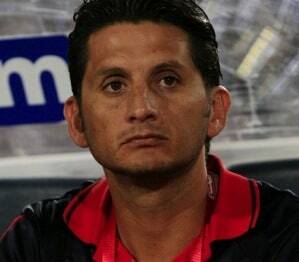 This year he coached Saprissa to a Costa Rica national league championship. 11. At Germany 2006, Costa Rica participated in the highest scoring World Cup opening match. The Ticos lost, falling 4-2 to host Germany. Wanchope scored both goals for Costa Rica. 12. In 2014, Costa Rica played in the first World Cup group in history to include three former champions. Obviously, Costa Rica was the one team in the group without a World Cup title. But the Ticos ended up conquering the group — beating out Uruguay, Italy and England to claim Group D.
13. Costa Rica has the 4th smallest population of any country that qualified for the World Cup. Costa Rica (4.8 million people) has the smallest population of any country remaining in the World Cup, after the elimination of Uruguay (3.2 million), Bosnia and Herzegovina (3.7 million) and Croatia (4.2 million). Even if doubled, Costa Rica’s population still is the smallest of remaining countries. 14. Costa Rica is the 4th smallest country by area at the World Cup. The four smallest countries almost all qualified for the World Cup’s quarterfinals. Only Switzerland (barely) missed out, losing to Argentina in the Round of 16. Costa Rica, the Netherlands and Belgium remain alive, with the Ticos and Dutch facing off Saturday. 15. 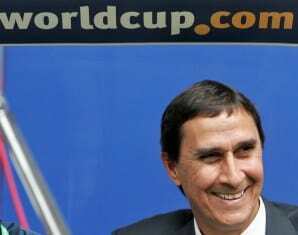 Costa Rica coach Jorge Luis Pinto is one of the lowest paid managers at the World Cup. Give this man a raise! According to an article in the Daily Mail, Pinto’s salary ranks 27th out of the 32 teams that qualified for the World Cup. The highest paid manager is Fabio Capello, the Italian-born coach of Russia, who makes $11.4 million a year with the team. Pinto is the only coach in the quarterfinals making less than $500K. 16. Costa Rica’s national team has more sponsors (35) than any other World Cup team. According to Bogotá’s El Colombiano, Costa Rica is the World Cup team that attracted the most sponsors. Thirty-five brands lined up to sponsor La Sele’s trip to Brazil. And it looks like the move will pay off for them. In addition to advertising revenu, Costa Rica will earn at least another $14 million from FIFA. That’s the amount quarterfinal losers receive from the tournament organizers. Teams that lose in the group phase receive $1.5 million. If La Sele wins the World Cup, the federation will pick up a cool $35 million extra from FIFA. 17. Costa Rica is one of the least valuable teams at Brazil 2014. The Ticos’ 23 players are valued at $43 million. Costa Rica is just above Iran, Australia and Honduras. Spain is the most expensive team with a market value is of $916 million. Captain Bryan Ruíz, who plays in the Dutch league while on loan from English club Fulham, is the team’s highest-paid player, followed by Joel Campbell and Keylor Navas. 18. Pinto is one of five coaches at the World Cup who never played professional football. The others are: Carlos Queiroz (Iran), Reinaldo Rueda (Ecuador), Alberto Zaccheroni (Japan), and Jorge Sampaoli (Chile). 19. Pinto is one of three Colombian coaches at the World Cup. None of them coach Colombia. The manager of Colombia’s national team is actually Argentine José Pekerman. The three Colombians are Pinto (Costa Rica), Luis Fernando Suárez (Honduras) and Reinaldo Rueda (Ecuador). 20. Pinto qualified for the World Cup in his second attempt with Costa Rica and third overall. The Colombian was fired as the manager of Costa Rica’s national team in 2005. The team still ended up qualifying for the 2006 World Cup, but under Alexandre Guimarães. In 2007, Pinto tried to take his homeland to the World Cup, but he washed out with Colombia, too. Given a third chance in 2011, Pinto led the Ticos to a spot in the World Cup and tournament glory. The 61-year-old coach had been best known for his short temper and stature (5′ 5″, or 165 centimeters). Pinto was suspended twice in the past for getting into physical altercations during matches. Now the manager is getting recognition for his masterful tactics in preparing Costa Rica to be giant killers. “It is the dream of all my life,” Pinto declared, with tears in his eyes, last September after Costa Rica clinched a spot in the World Cup. 21. Two players on the current La Sele roster played in Costa Rica’s last World Cup in 2006. Michael Umaña and Cristian Bolaños both joined the team in Germany eight years ago. As did injured forward Álvaro Saborío, who’s with the Ticos in Brazil but not playing. Two assistant coaches with the 2014 team played for Costa Rica in its last World Cup — Luis Marín and Paulo Wanchope. Marín was the captain of the 2006 squad. 22. Umaña and Marín are tied for the most minutes played with the national team in a World Cup. Each have played 540 minutes. Marín will watch from the sidelines as Umaña breaks the record against the Dutch. 23. 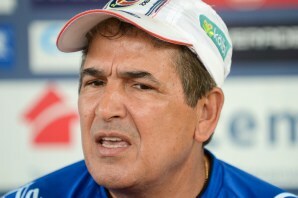 Midfielder Celso Borges’ father is a former Costa Rica star and coach. Alexandre Guimarães, Borges’ Brazil-born padre, played on Costa Rica’s celebrated 1990 squad. He also coached the Ticos in their subsequent two World Cup appearances in 2002 and 2006 (both times the team exited in the group stage). Now, Borges, a charismatic 26-year-old who speaks fluent English and Portuguese while playing professionally in Sweden, is making history in his father’s homeland. 24. Costa Rica is relying on players in international leagues like never before. Only two regular starters for the Ticos play in the country’s national league: Yeltsin Tejeda and Michael Umaña. Tejeda, a 22-year-old midfielder, could be off to more lucrative pastures soon thanks to his strong showing in Brazil. By contrast, the entire roster of Costa Rica’s historic 1990 team was comprised of national league players. 25. Costa Rica received a shipment of gallo pinto at the World Cup. Fedefutbol brought to Brazil 200 kilograms of rice and beans, 74 small bottles of “Salsa Lizano” (the Tico version of Worcestershire sauce), 80 packs of coffee and 36 bottles of Tabasco sauce, all from local brands. 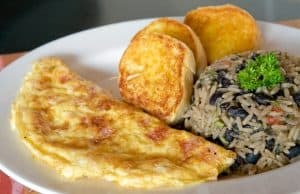 Presumably, the federation had all its paperwork in order for Brazilian customs, and the food didn’t suffer the same fate as Uruguay’s dulce de leche. 26. Costa Rica’s World Cup jerseys are best-sellers. The uniforms were almost a disaster after a friendly match exposed a fatal flaw in the design — they didn’t evaporate sweat. Players would’ve been drowning in sweat in Brazil if not for a last-minute change to the uniform’s fabric. Now the tropical Ticos are loving the Brazilian humidity, and kitmakers Lotto are reaping the benefits. The Italian sportswear brand has had to order 50,000 extra uniforms due to football fans falling in love with the underdog team from Central America. While most countries use a mega-brand like Nike or Adidas for their uniform design, Costa Rica is the only team at the World Cup to use Lotto. The apparel company also sponsored the Ticos during their first World Cup trip in 1990. 27. Four Costa Rican babies were named Keylor in June, according to the National Registry. Coincidence? Possibly. It’s a pretty great name. Costa Rica’s star goalkeeper and his wife actually had their first child (Mateo) earlier this year. There also were 22 Joels born in June. 28. Costa Rica’s biggest international win came against Puerto Rico in 1946. The Ticos romped to a 12-0 victory over the Boricuas. La Sele’s worst loss came against hated rival Mexico in 1975. El Tri beat Costa Rica 7-0 in Mexico City. 29. Costa Rica beat the Netherlands in their own international meeting. And it came in the World Cup. OK not the World Cup, but the Under-20 edition that took place in Argentina in 2001. The Ticos shocked the Dutch 3-1 in that match. No Costa Rican on that roster currently plays for the senior team. However, two Dutch players, star Arjen Robben and top reserve Klaas-Jan Huntelaar, were members of their country’s Under-20 squad 13 years ago. And the Netherlands coach back then was Louis van Gaal — the same Dutchman who will lead the team out against Costa Rica on Saturday. 30. Costa Rica’s women’s teams have never won a World Cup match. Not at the Under-17 level, the Under-20 level or the senior level. But Las Ticas have a chance to break through again in August when they play at the Under-20 World Cup. The senior team seems on pace to qualify for the 2015 World Cup in Canada. 31. 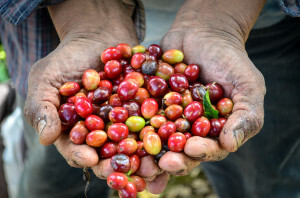 Costa Rica is the third biggest coffee producer in the World Cup. The top two coffee makers: Brazil and Colombia face off Friday afternoon in the Coffee World Cup. 32. 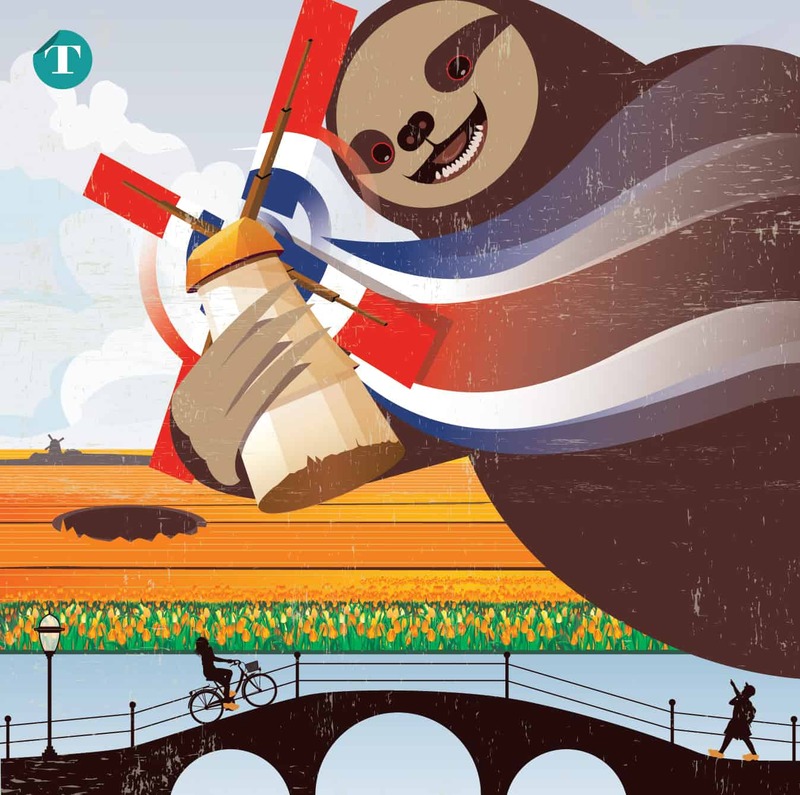 Costa Rica, Colombia and Brazil are the three countries inhabited by sloths that remain at the World Cup. But only one country has a Sloth Kong. Tico Times reporter Laianer Arias contributed to this report.